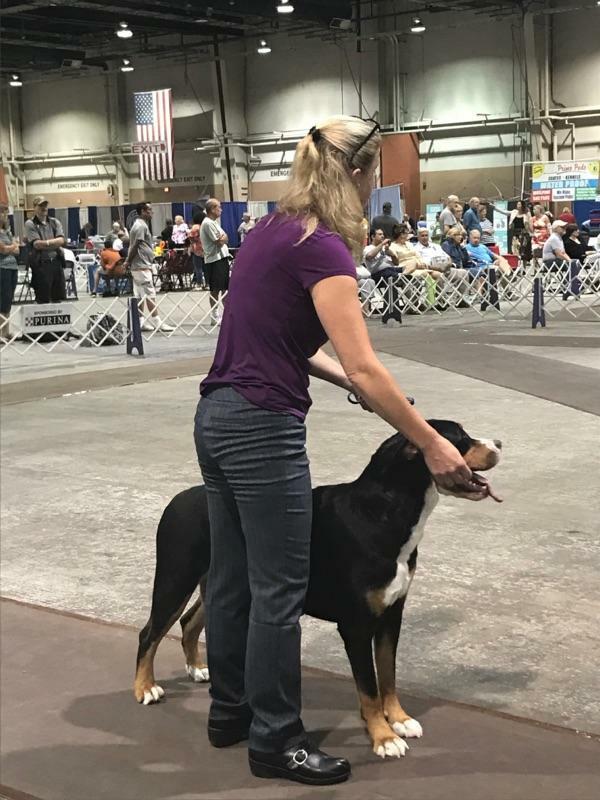 Bella finished her AKC Championship in ONLY 3 Weekends! She has now completed her Grand Championship too, still completely owner handled! I could not be more proud of our amazing Bella!! She returned home from Harrisburg, her first show ever with Two 5 point Majors in only 3 days and completely owner handled!! 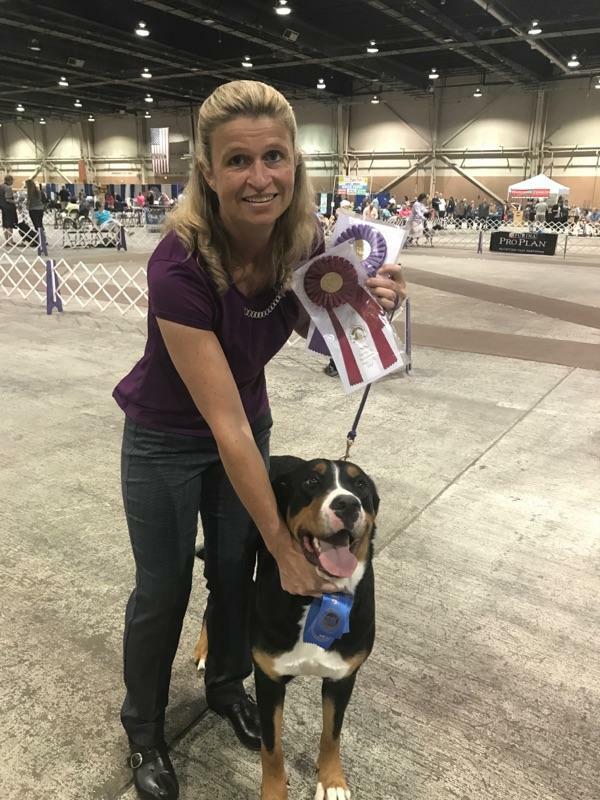 AKC Championship completed in ONLY 3 weekends! I want to sincerely thank all of the wonderful and kind people that willingly helped me along as I fumbled my way through my first time handling. Zeus finished his AKC Championship in only 8 weekends!! I am so excited and proud of our boy! We will hopefully be expecting a litter by him in the next few months, please inquire for further details. Pictured on "Our Dogs" page. The Majestic Greater Swiss Mountain Dog is one of the most noble, loyal and entertaining breeds out there. If you have not had the pleasure of knowing one, take the time to get to know one today! You will not regret it or ever forget it! We try to return all calls and emails the same day!